Fortress Pilings are fully composite piles which are comprised of structural fiberglass protected by a premium gel coat finish. Unlike piles made from traditional materials, Fortress Pilings will not rot, rust or crumble. 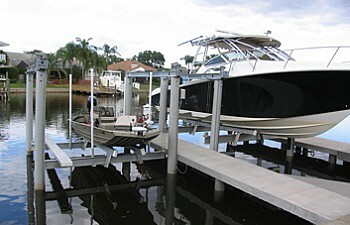 Fortress Pilings are an excellent choice for boat lifts. 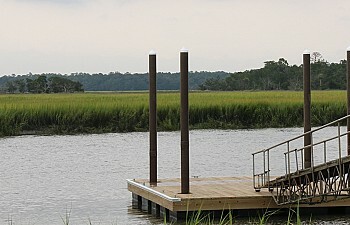 Fortress Pilings work perfectly with floating docks. 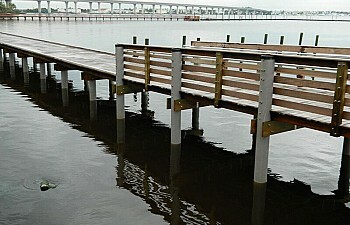 Fortress Pilings and composite decking go hand in hand. 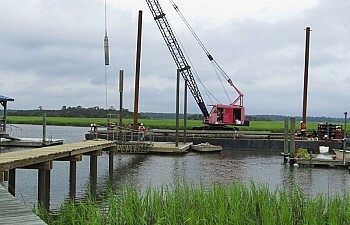 Just like traditional wooden pilings, you can drive, jet or auger Fortress Pilings - no special equipment needed. 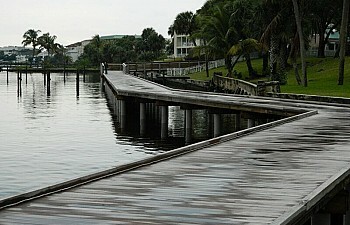 No better choice for a long lasting, beautiful pier along the river.